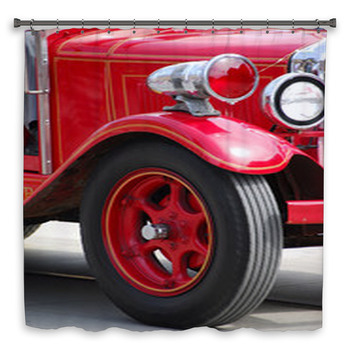 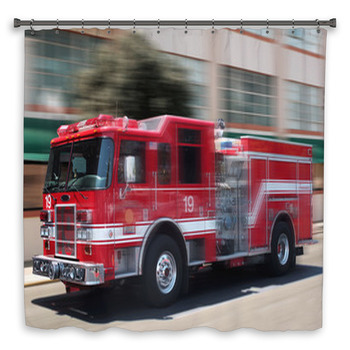 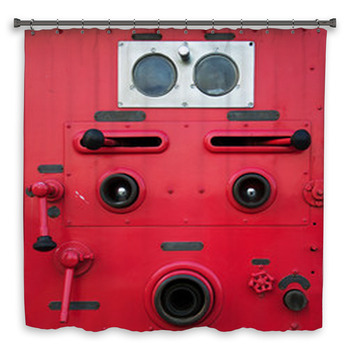 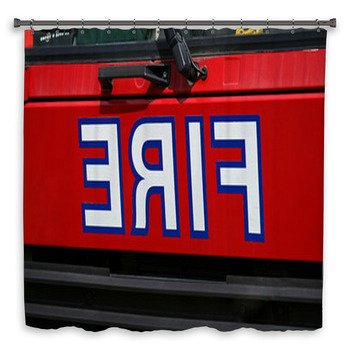 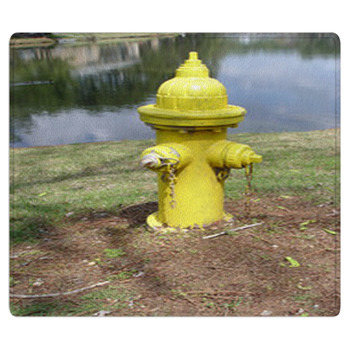 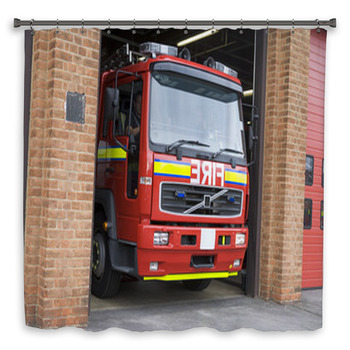 We may not have started the fire, but we keep it burning with this fire truck bath decor. 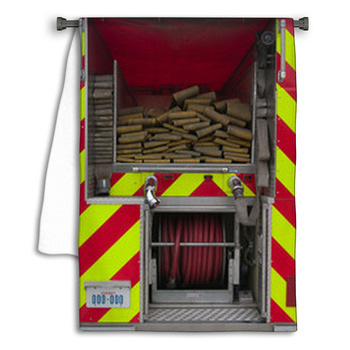 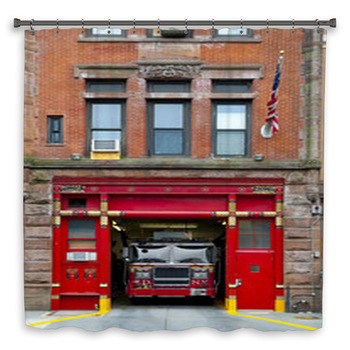 Combining brick orange with firehouse red, this truck decor is ready to roll right out of the station! 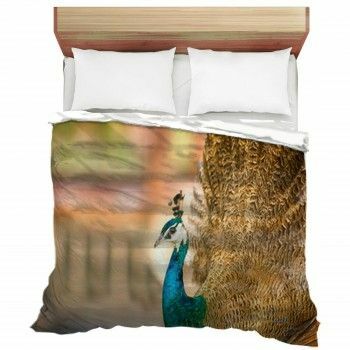 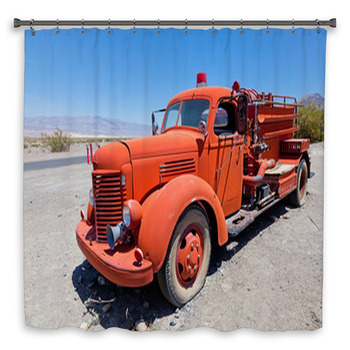 You can stretch the gleaming windshield of a vintage truck across your bathroom decor, or hang shower curtain depicting a modern model with a sturdy ladder. 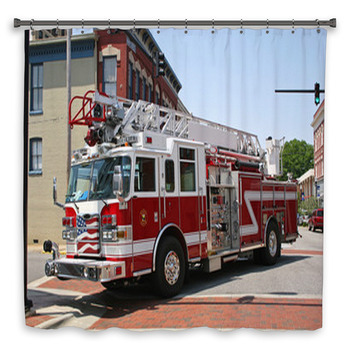 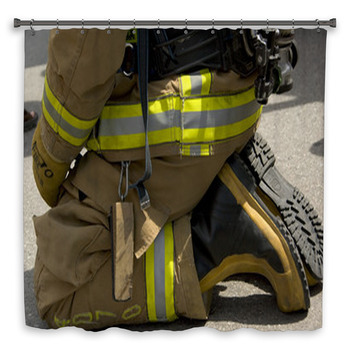 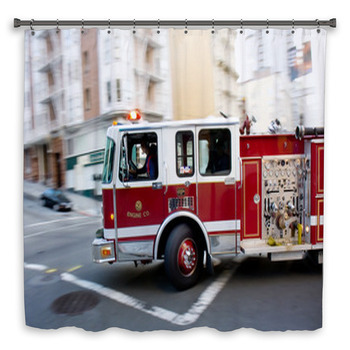 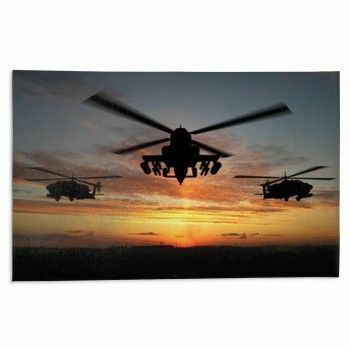 Whether you are honoring a firefighter or just warming up the color scheme of your bathroom walls with this theme, this collection is worthy of heroes.